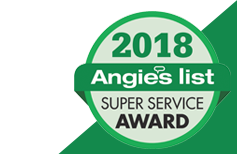 In the last 20 years or so, access to information at our fingertips has led to the boom of “do-it-yourselfers.” And, at C&C SlabLeaks and Plumbing, we give this movement two very enthusiastic thumbs up. We applaud those who want to solve their own problems, do weekend projects to make their homes unique, and roll up their sleeves to take on the big jobs. However, it should be known that there is a reason that many professions require school, internship or apprenticeship, and years of experience before they are authorized to work on someone else’s home, and plumbing is one of these professions. Now, we would never insult someone’s intelligence by doubting that with enough research that you couldn’t figure out how to do even the most complicated plumbing task. But, it isn’t just the know-how, it’s the experience, the intimate knowledge of things that aren’t quite textbook, and tools, and the tricks of the trade. All of these things culminate into skilled expertise that not only allows the job to be completed quickly and correctly on the first try, but is also less likely to result in damage — not to mention frustration! Additionally, professional plumbing work is backed by guarantees and warranties. There are times in life that doing things yourself are cause for celebration, and there are times where it should be left to the professionals. Join us today as we discuss some of the times that you should call your trusted local plumber rather than attempting to handle the task yourself. The problem with leaks in a plumbing system is that if it is not identified and promptly fixed, a very small leak can result in a lot of damage. Whether the damage is burst pipes that results in the need to replace parts of your plumbing system, or it yields water damage to surrounding materials including drywall, flooring, and floorboards. Most times, a small drip is a symptom of a much bigger problem. 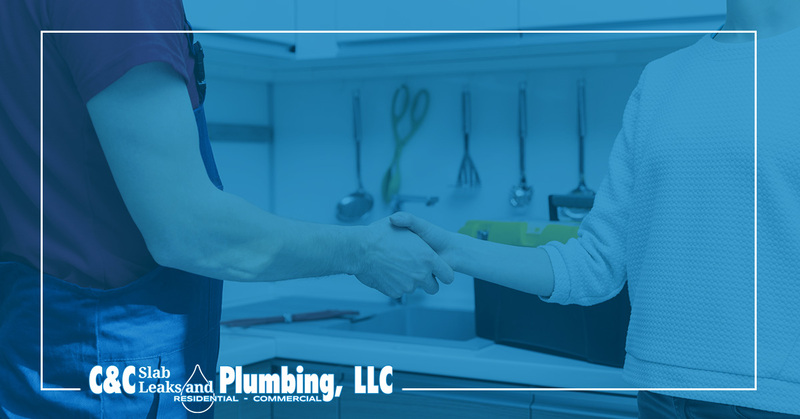 If you notice a leak, high water bills, or symptoms of a leak, contact your local plumbing company to get a professional on the job right away. Your plumbing system operates as the circulatory system for your home or business. It relies on seals that keep the water in. 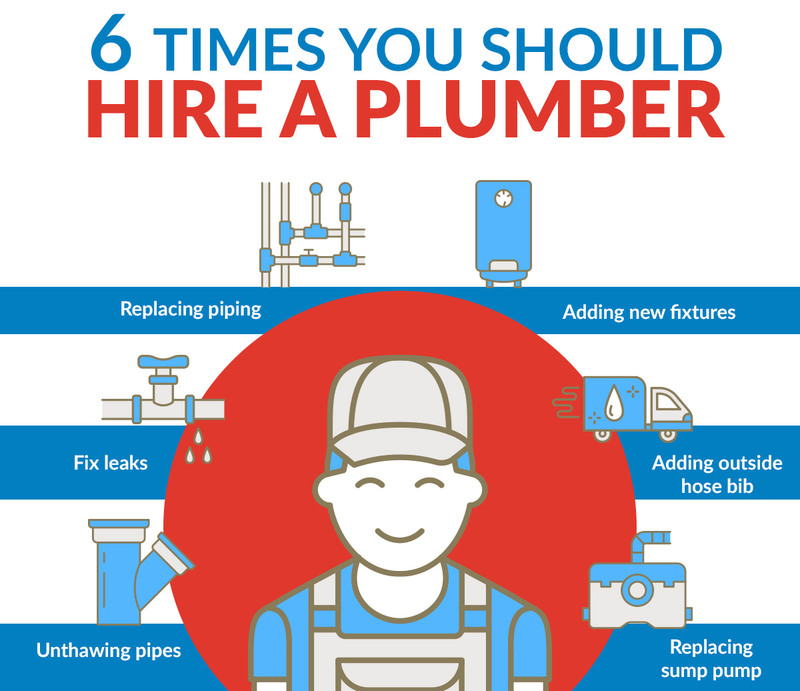 When you have to replace or add in pipes to upgrade, repair damages, or add in new fixtures, it is a good idea to enlist the skills of a professional plumber. After all, you wouldn’t do surgery on your own heart, would you? We are confident that most competent homeowners can likely figure out how to install a new disposal or upgrade faucets if you are adding new fixtures such as a tub that didn’t exist, you will be much better served by hiring an experienced plumber to do the work for you. When adding new fixtures, if it is done incorrectly, can cause big troubles. 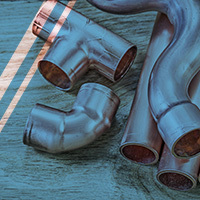 At C&C Slab Leaks and Plumbing, our skilled technicians are experienced with the installation of a wide variety of fixtures and plumbing accessories. #4. Adding an outside hose bib and faucet. Faucets on the outside of your home are convenient, as long as you can use them. If you are adding a new outside hose bib to make life more convenient, the last thing you want is for it to leak. The unfortunate truth about outside faucets is that leaks are usually not detected until it is too late. If you are installing a hose bib, schedule an appointment with your Dallas plumber to ensure it is done right! #5. Replace your sump pump. Your sump pump, while hidden in the corner of your basement or crawl space, serves a very important role. It is tasked with keeping water from pooling and causing slab or foundation leaks. If your sump pump stops working or needs repairs, it is not something you should attempt to do yourself. Not only can it cause significant damage if done incorrectly, but there is also a high risk of personal injury if it is not worked on correctly. Don’t take the risk, just do a search for “top rated plumber near me,” and choose C&C Slab Leak and Plumbing. #6. Unthaw your frozen pipes. Although it is not common in the Dallas area for pipes to freeze, on occasion, it has been known to happen (and, you can carry this helpful tip with you should you move north of the Mason-Dixon line). If your pipes do freeze, you should not attempt to thaw them yourself. This can be dangerous and you may end up doing more damage than good. We have browsed through a lot of the “helpful” internet articles titles “How to Unfreeze Your Pipes,” and let’s just say, following these novice how-to guides have the potential to land you in a world of trouble. Please, never attempt to thaw your pipes with a blowtorch, open fire, boiling water, or by continuously running water. Call your local Dallas plumber to help! At C&C Slab Leak and Plumbing, we want to help the Dallas do-it-yourselfers do it safely! 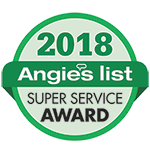 If you are doing a bath or kitchen remodel, installing a new appliance, or repairing a part of your plumbing system, contact us for a free estimate. You’ll be pleasantly surprised to find out how affordable our expertise is. Save yourself the headache (and floods) and schedule your plumbing service today!